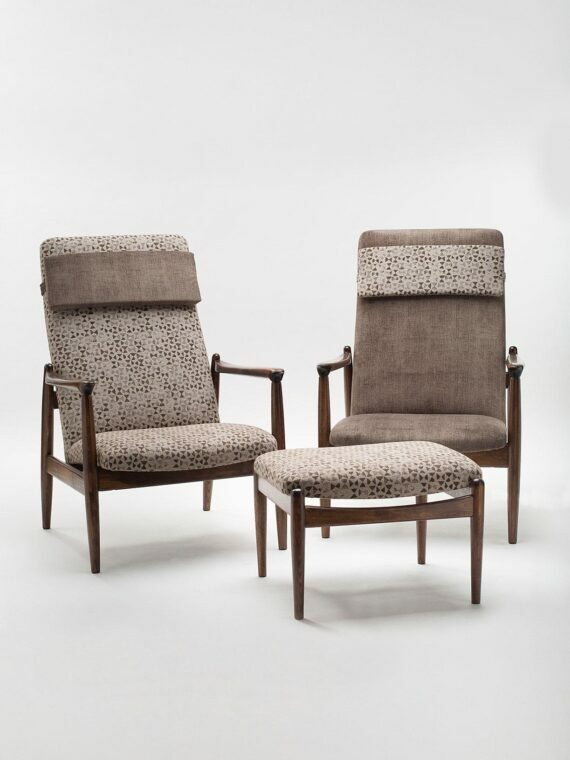 Armchairs produced in the Gościcino Furniture Factory (Gościcińska Fabryka Mebli) in the early 1970’s. 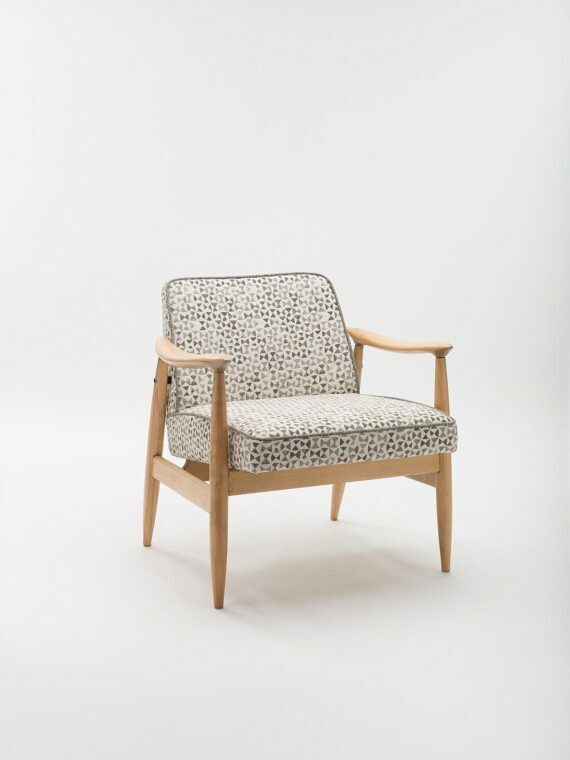 Because of its characteristically profiled armrests, this armchair’s project is unofficially attributed to Professor Edmund Homa, creator of this armchair’s older brother – the famous GFM-142. However, going deeper into the history of the Gościcino Factory, we learn that the actual author of this model is Juliusz Kędziorek, another designer from the Gościcino duo. This is indicated by a certain dependence: the numbering of E.Homa’s models is even and the numbering of J.Kędziorek’s is odd. 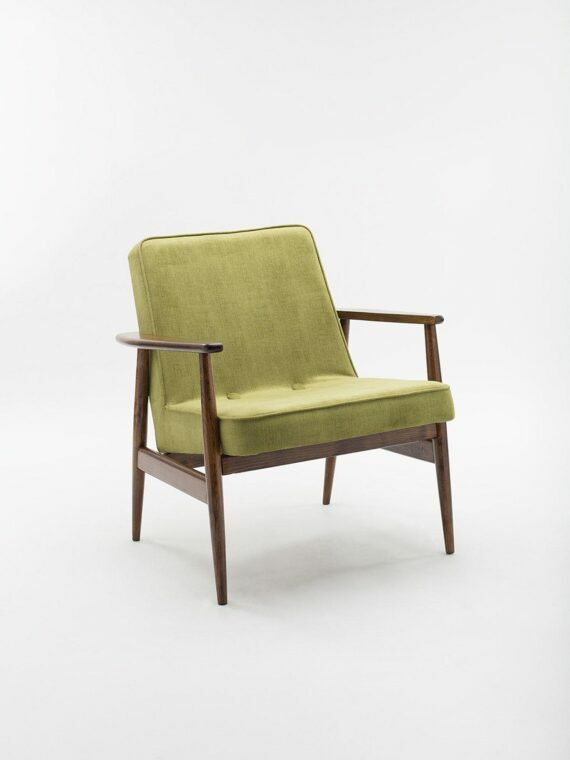 Pair of armchairs has undergone a comprehensive carpentry and upholstery restoration. The frame made of wood has been cleaned and re-coated with several layers of semi-matt polyurethane lacquer. Upholstery replaced and finished with a modern, high-quality fabric.